House of Woyaks: Crock Pot Week! And, I must say, I am excited that I won't have to really cook dinner this whole week! YAY! All of the main dishes (except breakfasts and lunches) are done in the crock pot. Even the Mixed-Berry Pudding Cake on Wednesday. 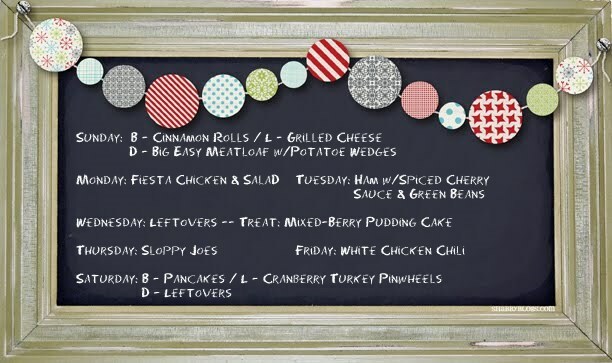 Here are the links to this week's menu plan. The ones I could not find online, I will share with you later this week. Do you have a menu plan? Wondering where I got my nifty chalkboard graphic? Shabby Blogs!